It’s Thursday which means it’s time for another edition of the Chicago Neighborhood Guide. 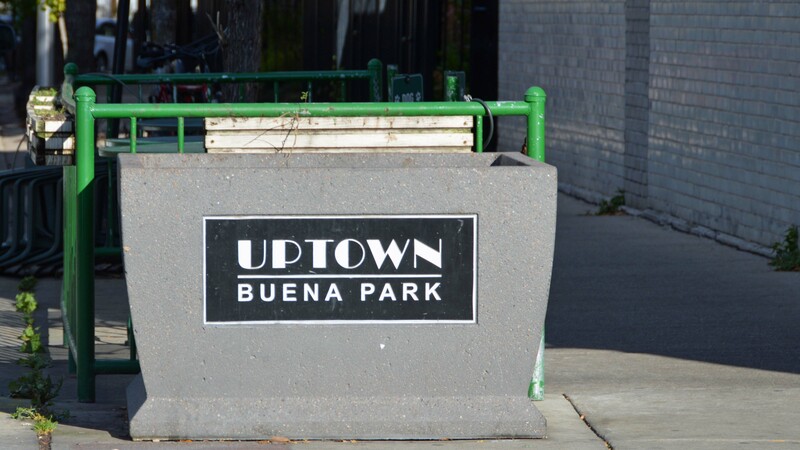 Today’s post features Buena Park – a tiny pocket of Uptown, just north of Lakeview. Writing today’s post is Buena Park resident and one of my very best friends, Mandy. Mandy and I met while students at Purdue and bonded over doing our math homework together (nerd alert!). We were roommates our Junior and Senior years and have been friends for over 10 years. 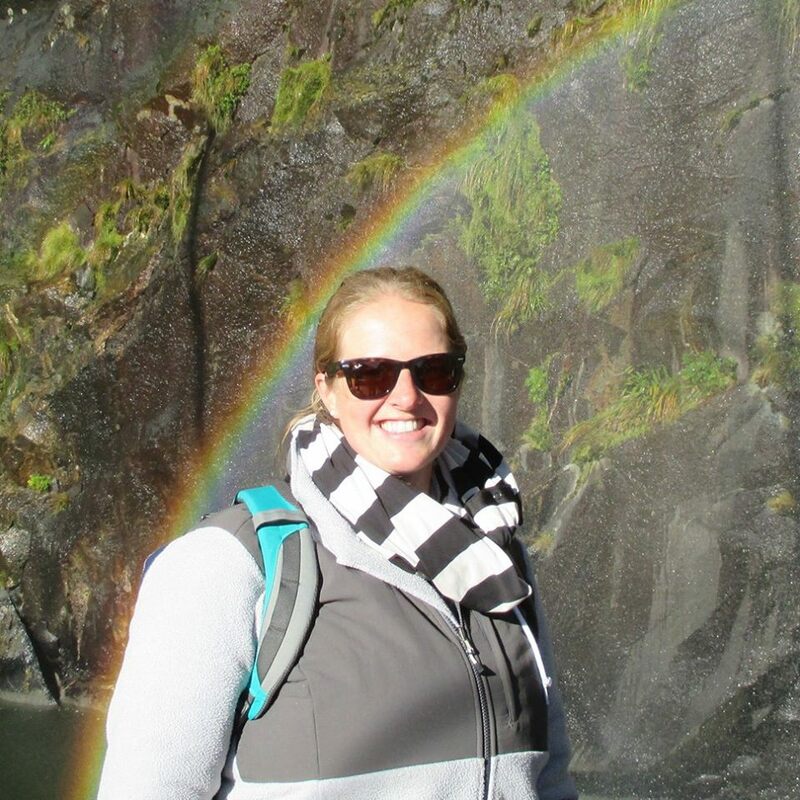 Mandy loves Chicago sports, a good manicure, traveling the world (she spent two weeks in Australia and New Zealand last summer), and skiing/being in the mountains. Buena Park is not a neighborhood that is well known to Chicago natives, and until I was deep into my condo search, I didn’t know it existed. Buena Park is a small neighborhood bordered by Irving Park to the south, Lake Shore Drive to the east, Montrose to the north, and the Red Line to the west. This small neighborhood on the north side is home to many old 3-flat condo buildings and a few high rises over looking the lake. I fell in love with the charm of my building built in the 1920’s (think high ceilings and doors and floors that aren’t exactly level so nothing closes right). The tree lined streets have a few cute hole in the wall places, and the proximity to Lakeview makes it even more of a fun spot to visit (which is also why some of my favorite places are there)! I am not a regular coffee drinker, but have enjoyed the atmosphere of Dollop a few times. This little coffee shop has cool old tables and a fun vibe as soon as you walk in. You will always find people on their computers doing work, reading a book, or catching up with a neighbor. They serve Metropolis Coffee and always have great looking snacks. When I find people who have also lived in Buena Park in the past, they always ask if I have been here, just showing how much of a favorite place this can be. When I am in need of a good go to for pizza that doesn’t require me to drive to the closest Lou Malnati’s (which is my all time favorite), Michael’s is my pick! This great neighborhood pizza place is only a few blocks from my condo, which means I am a frequent visitor. It has lots of TVs so can also be a good place to watch a game and get a beer. Michael’s has great deep dish, but my personal favorite is their thin crust. The combination of crispy crust and sauce is just right for me. Deciding on a favorite restaurant is a tall order. I could name 10 different places I would consider my favorites in my area and usually need to get a type of food to narrow down the choice. A go to restaurant for me when I want something quick and good is Wrigley BBQ. If you find yourself here (very walkable from Wrigley Field, and away from the usual bars and restaurants that get crowded after Cubs games), getting the mac and cheese is a must! The food here is very tasty and it is even BYOB, which is always a draw for me! If you forgot to bring your favorite adult beverage, have no fear, the Jewel is right next door! Any of my friends will agree that I love my fair share of tasting and enjoying craft beers. Though technically in Lakeview, Sheffields is a perfect place to go when I am wanting to try something new and different in the beer world. There is always a beer I haven’t heard of on the menu, and to make this place even better, they have a great patio! This large outdoor space has old school picnic tables, lights strung from the neighboring buildings, and even a large tree still growing in the middle of the patio. My favorite table to snag on a warm summer afternoon or evening here is one of the end tables near the sidewalk. These circle booths can fit lots of people and remind me of my college days and snagging “The Window Seat” at my all time favorite bar, Harry’s. When the weather is too cold for patio weather, it is always fun to get one of the few tables by the fire places inside to keep nice and warm! Favorite Late Night Snack: Byron’s Hot Dogs 1017 E. Irving Park Rd. Byron’s Hot Dogs is what my family would call a “hot dog stand”. This classic place is the perfect spot to get a Chicago dog and awesome fries, just what the doctor orders sometimes! This is my go to place when I need some greasy food. They serve the usuals like hamburgers, cheeseburgers, cheese fires, gyros, and of course the famous Chicago dog. I am not a fan of the Chicago dog, but they still serve me my hot dogs with ketchup and onions, even though ketchup is like a sin for some people on their hot dogs. In my opinion, one of the biggest draws of the location of Buena Park is the proximity to the lake, especially the lake front path. I love that the lake front path is only 2 short blocks away from my front door. This is a great way to get to the beaches in the summer (perks of being a teacher! ), perfect for a run with a view, a bike ride for fun, or to get to my weekly beach volleyball game. There is even a 9 hole golf course along the lake close enough for me to walk to! I have lived in other parts of the city which weren’t as close to the lake, and I always felt like I was missing out on such a great part of Chicago. I agree with Mandy that one of the best parts about summer in Chicago is the lake! How great would it be to live only two blocks away? Between that and her mention of patio dining at Sheffields, I am really looking forward to summer! Thanks so much for sharing your favorite spots with us today, Mandy! 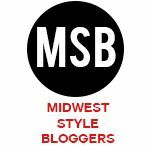 If you would like to be featured in my Chicago Neighborhood Guide series, email me at paige.viollt@gmail.com. I would love to hear from you! I didn’t know much about Buena Park until Mandy moved there. I definitely have a good list of places to try now!